Humans have been eating animal products in differing amounts throughout history. 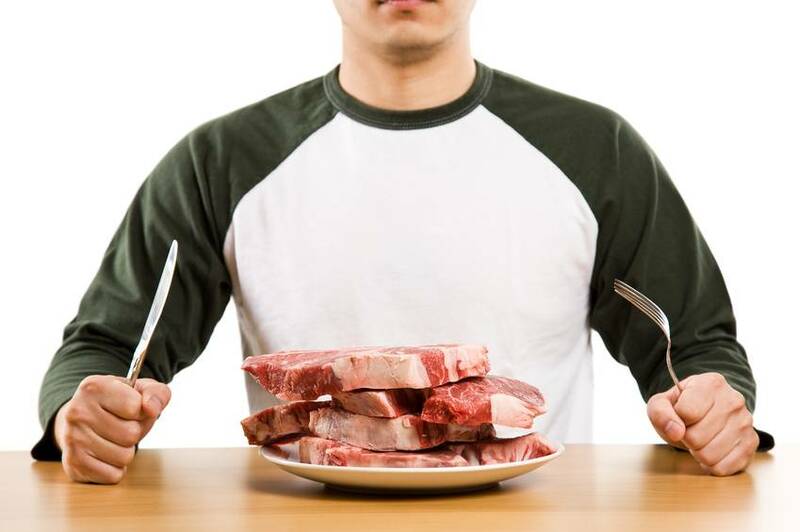 Although our digestive tracts have adapted to enable us to survive by eating a wide variety of foods, the fact is that our bodies are not designed to process large amounts of animal protein very well. This is seen by the high rates of obesity, heart disease, cancer, impotence, diabetes and other chronic diseases caused by poor nutrition in cultures that eat high on the food chain. Most of these illnesses are extremely costly to individuals, employers and the government. Studies have repeatedly found that when people convert to a plant-based diet, they have a better chance of increasing their life expectancy and are often able to stop and even reverse many chronic diseases. Not only can people have more energy and better health by eating a plant-based diet, doing so eliminates unnecessary suffering for billions of helpless animals each year. It also reduces the huge impact that the meat and dairy industries reap upon our environment, medical costs and our children’s future. It feels so great to be vegan.